I've currently got two of these tubs as I'm such a big fan of how they feel and how effective they are! The balm applies really well and takes makeup off, including eye makeup, easily and smoothly using a hot washcloth. It leaves skin feeling fresh and hydrated. This isn't a step that I use every day as it's only supposed to be used about three times a week so I switch it up on the other days with the Pixi Glow Tonic. It's full of skin balancing ingredients such as Glycolic Acid which is fantastic for acne, oiliness and uneven skin texture. I've done a detailed blog post on this product (read it here) so I won't go into too much detail but this moisturiser is perfect to use at this time of year. It targets dry skin with almost instantaneous results and leaves skin feeling really plump and healthy. I stopped using this throughout the summer as I read that it fades a suntan faster than normal. Well, I can definitely say that my suntan is no more so this product is back in rotation. The upside to the faded tan is that retinoid makes such a difference to skin as it encourages the production of collagen. Last but by no means least, I use a lip balm. My current favourite is the Rodial Stemcell Superfood balm which sounds technical but really isn't. It's not greasy or sticky and unlike other brands, one application is enough. 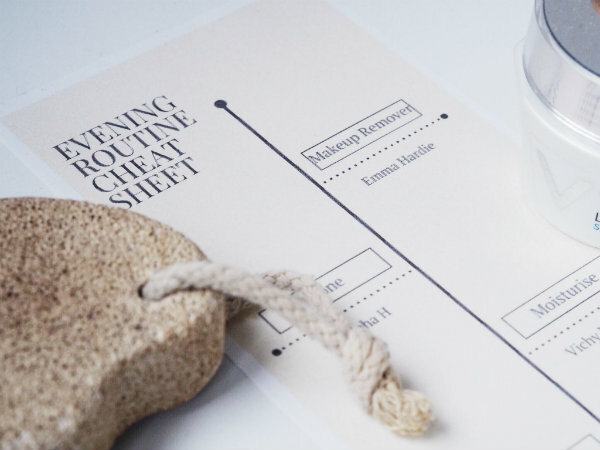 What's your favourite evening skincare product? 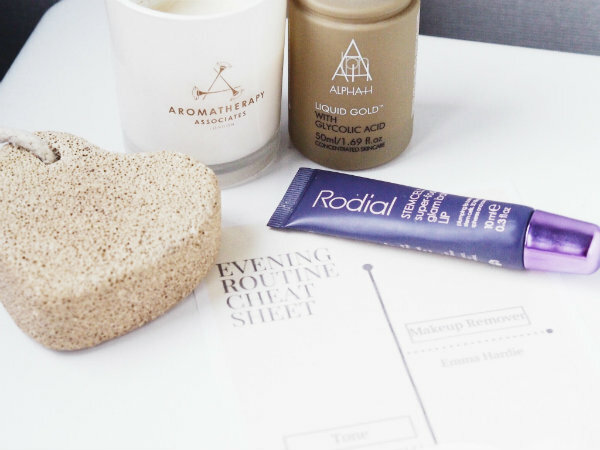 Winter is always a good time to pay special attention to our skin care routine. Yours seems really good. Thanks for sharing. I've starting using fish oil cream to finish my night skin care routine. I know it is not for everyone because of the smell and all, but I'm really noticing an improvement. These products sound really good. I'll have to look into them. The Superfood balm sounds amazing! Thanks for sharing this! I love The Ordinary's serum... I'm using the one with hyaluronic acid! 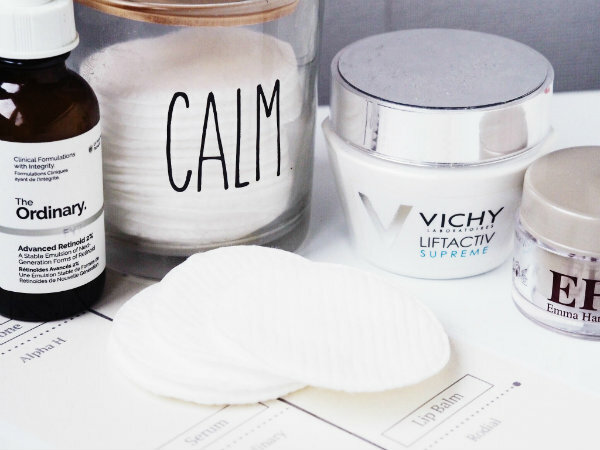 I need this Vichy moisturizer. The serum sounds wonderful too. These all sound like such great products! That makeup remover sounds so interesting and moisturizing for the skin, too. A lot of times, they can feel very drying and strip your skin. I also love the sound of that Vichy moisturizer. I've tried only their face masks and love them, so I imagine I'd love this product. Thanks for sharing and I hope you have a great day, girlie! I heard that products with moringa powder are very good, so I would like to try this Emma Hardie moring balm. As well as the Rodial lip balm, because I love Rodial! Thanks for the recommendations, I will look for them now :) Hope you have a lovely evening! I cannot live without a lip balm! Thanks for sharing your skincare routine. I love all this products! I'm going to take this advices! Sounds like a great beauty regime. Wow! Awesome beauty selection Rosanna! Have an amazing day Dear! I need that serum in my life! I hear nothing but good things about Ordinary products! 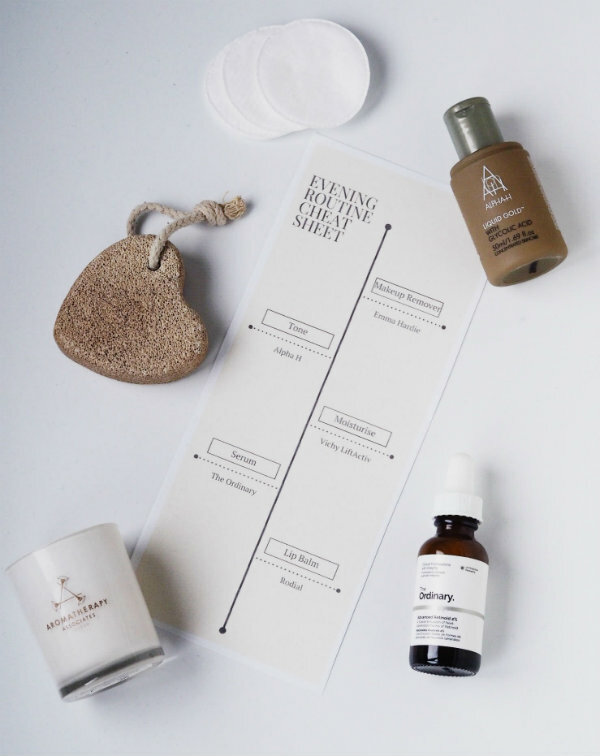 I would love to use these skin care products :) Nice post! Oooh, you've got some skincare goodies I want to try! I had a few products from The Ordinary in my beauty cabinet waiting to be used- I've heard such good things about this brand! You have a wonderful routine. Have a great evening. great routine! Ill have to try some of these! I keep reading about The Ordinary brand! I'll have to scope out some of their products because everyone seems to like them a lot. I need to start incorporate a serum into my own routine! And an eye cream. They're all just so pricey! Are those the ones you always use? Yes, The Ordinary isn't expensive at all though! I seriously enjoy the product selection here, I am also a fan of Alpha H and would love to try that Ordinary serum you've mentioned. Great picks, Rosanna!